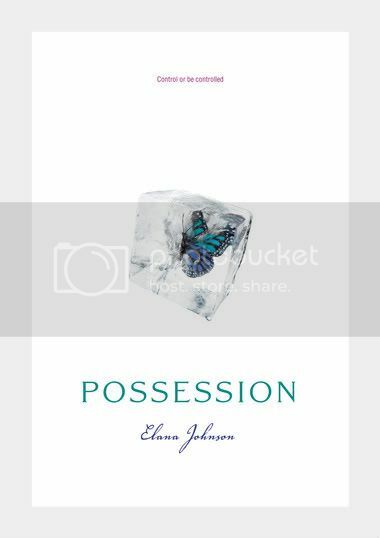 Possession is a new novel in the dystopian genre by debut author Elana Johnson. I really love this genre, and was thrilled when this book was released for review. The main character, Vi, is awesome. She’s strong and very likable. She doesn’t want to be like the others, and she thinks for herself. She’s not easily swayed at all, until she meets the Jag. Jag is another character I like. Their relationship was a bit fast paced, but believable considering what they went through. I like all the secondary characters as well. Even the bad guys were interesting. Although the beginning was a bit slow, the second half of the book was very fast paced, and I flew through it. I read this book in a day. There are a couple of confusing parts in the book, I found myself getting lost more than once. It was hard to keep up with who did what, went where, with who and why, etc. The plot was really interesting though, I like where the author went with the story. Overall, this was a good read for me. I’ll definitely be checking out the next book in the series, so I can see what happens next. Thank you to Simon and Schuster’s Galley Grab for allowing us to read and review this book. I'm glad you enjoyed this. I was really looking forward to this, but just never got into the story. Sounds like a pretty cool book. I realize I've actually never read dystopia lol. Awesome review !! I love dystopian novels and I really look forward to read this one .. I hope I'll enjoy it as much as you did !! I've just received this book in the post this morning. I've had it pre-ordered for ages. I'm glad you enjoyed it, and thanks for mentioning that it was pretty slow at the beginning. At least I know it gets better! Great review! I really loved this one too and was it just me or was Jag totally hot??? I feel exactly the same way! The first half of the book was pretty slow, but the second half I finished in one day!! I reviewed this today too! Great review. I agree that the second half was much better than the first. I seen this reviewed on so many blogs today. Great review! This was pretty confusing, but all and all I liked this one too. Jag was just a total hottie, and Violet was so loveable! I really like the sound of this one. I'm glad you enjoyed it! I wanted to love this story but the characters weren't consistent enough. I agree, though, that in places you could see where the story really shined through. And that ending - boy! Thank you so much for posting this review! I was sooo unsure whether to get a copy of this novel or not, but now I'll definitely order one. :) Thanks!